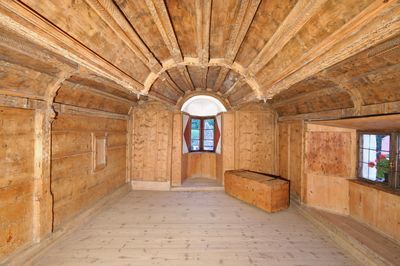 The “Südtiroler Burgeninstitut” (South Tyrolean Castles Association) converted the Trostburg from a medieval residence in its South Tyrolean Castles Museum. 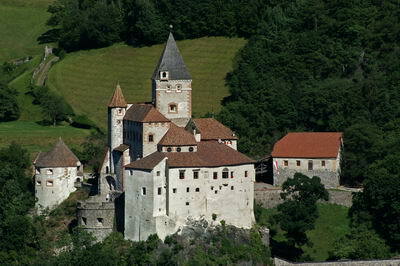 Naturally, the most important showpiece is Trostburg itself, which is also inhabited and used as the domicile of the “Südtiroler Burgeninstitut” (South Tyrolean Castles Association). An important attraction is the magnificent Knight’s Hall with its coat-of-arms adornated coffered ceiling. Of special beauty is a triple-domed Gothic room. The chapel and the various entertainment rooms are also attractions. The storm piles and the wrought-iron gate present a castle rarity, as does its wine press, one of the largest of its kind in the South Tyrol. The permanent exhibition entitled “Castles – Constructions by history”, which spans three rooms at the heart of the Castle, depicts to over 7,000 visitors a year the Great history of South Tyrolean castle development through 86 true-to-scale models. Trostburg, enthroned above at Waidbruck in the Eisack Valley, is a ministerial castle dating from the 13th century, even though the name "Trostburg" was first mentioned in 1196. In Trostburg, though, many architectural periods are represented, from the Romanesque to the Baroque. 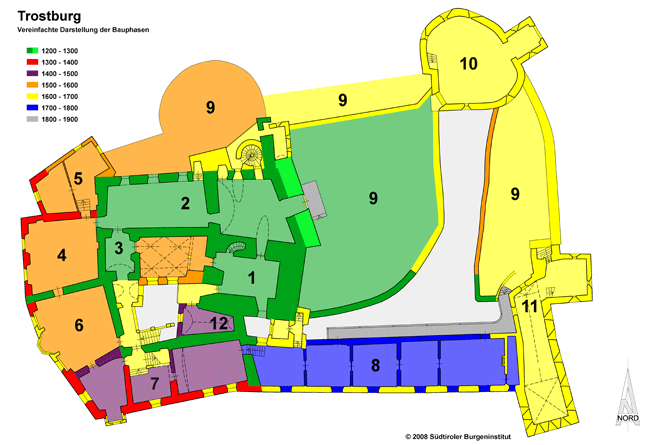 Its dungeon (toward the castle's east side), the Great Hall on the north side, and a curtain wall, for example, all date to about the 13th century. Throughout the 14th and 15th centuries, Trostburg was built upon, mainly inwardly, and was then altered and improved with fortifications and other expansions in the 16th and 17th centuries. The important artistic splendors include the ternary vaulted Gothic parlour, the late-Gothic paintings, and one of the most beautiful Renaissance halls of the land, dating from about 1607 as well as the artistic décor of the chapel. The idyllic appearance of the castle residence with medieval defensive characteristics is marked by some Renaissance constructions dating from 1594-1632. In the 18th century and afterward, the Baroque south wing was altered. 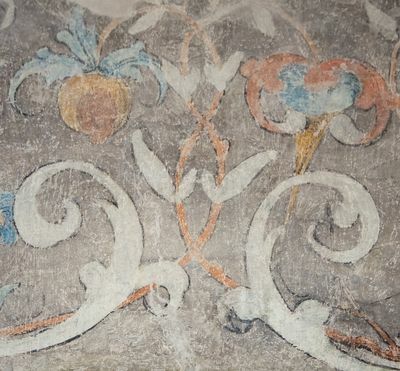 These works were mainly thanks to the longtime owner of Trostburg, the Counts von Wolkenstein-Trostburg, who held possession of the medieval residence from 1385 to 1967. 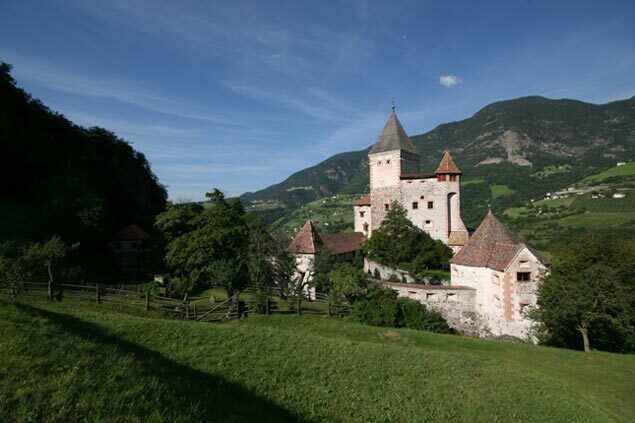 In 1967, ownership of the castle was transferred to the "Südtiroler Burgeninstitut" (South Tyrolean Castle Association), which has undertaken major conservation and restoration projects in the last couple decades in order to prevent Trostburg from falling into ruin. Noteworthy of the Association's efforts, which have supported by private commitment and public assistance, is that through circumspect and reserved maintenance measures, Trostburg remains for the most part in its original condition. Therewith, Trostburg is effectively an impressive monumental testament of the provincial history of Tyrol.